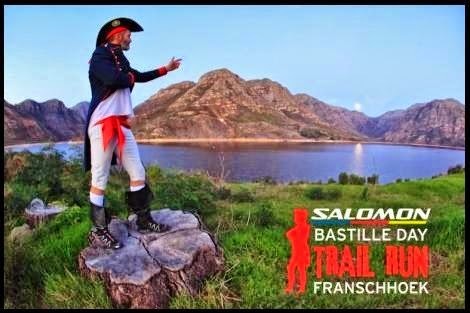 My injury is still a long way from healed but Franchhoek and the celebration of Bastille Day was calling... A long time ago I had entered the 35km race, but there was no way my body was going to hold out that long, so I downgraded to the 25km race, a run I had done the year before. Napoleon and his French Maids put on a great race! On the start-line I looked around and didn't see any of the big names, I was the only big name and I am injured with almost no training over the last 7 weeks... 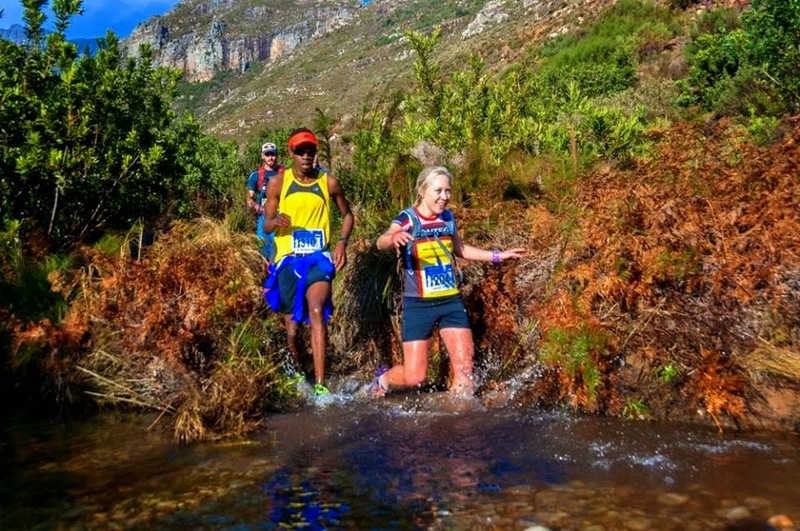 The race was open to the 'pretenders' and the new kids on the block. No gun, no siren, just a: You can go now!" I let the guys go, but as I warmed up and start running at a pace I know I could handle I joined then at the front, then on the first climb I passed them. 3 guys stay with me as we headed up the worst gravel road you have ever seen... OK some of it was single track and the rest was eroded! The real climb starts at about 3.5 with the last 200m up through the gum trees climbing 100m (yes that's 50% ave gradient). At about 7.1km we reached the saddle and the guys passed me on a very slippery gravel road as we headed down into the valley they were about 10m ahead as we turned of the 'road' onto a freshly cut path. the 'path' was about 2-3m wide and I found myself on the left side looking for better footing as I can't stretch out on tracks like that... Maybe 250m down I followed the path to the right and then I started to notice that I couldn't see the other guys! and wait, there were no foot prints in the sand, I was wrong or were they? I was me!!! I had head there was a little change to the route but I thought it was further alone... I'm guessing that they had gone down the right hand side of that new path and see a board telling them to turn. I had missed it and was out of the race. Dam, I was running well and enjoying being out there without the pressure of racing. I slowed down and ran on, I didn't really feel like turning round and running back up 500m or was it 1km!!! Then I saw Christo... he hadn't seen the arrow / marking and had caught a glimpse of me so he followed. I still hopped I was on the right track, but at the next turn (marked for the 15km race) I know I was wrong. But we were on last years route, so if we just stuck with it we would rejoin the race! 12.8km into the my race we rejoined the route, ok maybe it was a little before then, but that is where I stopped to chat to a marshal. We were in the lead!!! and had clearly not only run a different route, but a shorter route! My team-mate was winning the ladies! 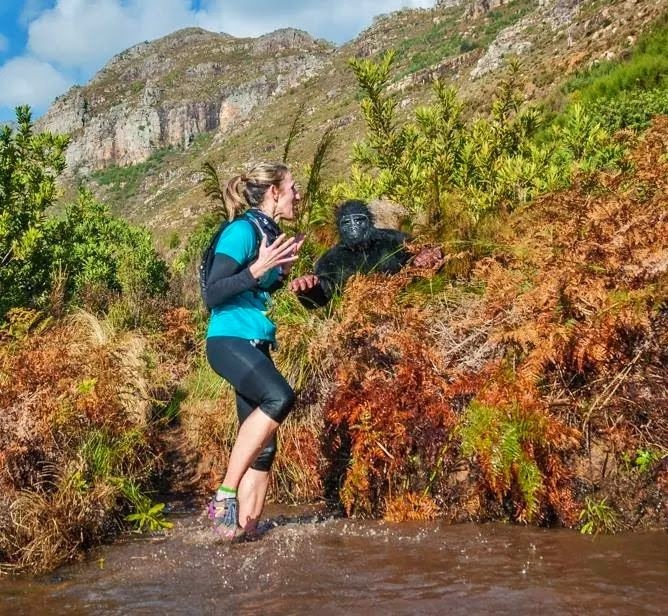 Mean while at the next crossing was a gorilla jumping in and out of the bushes!!! 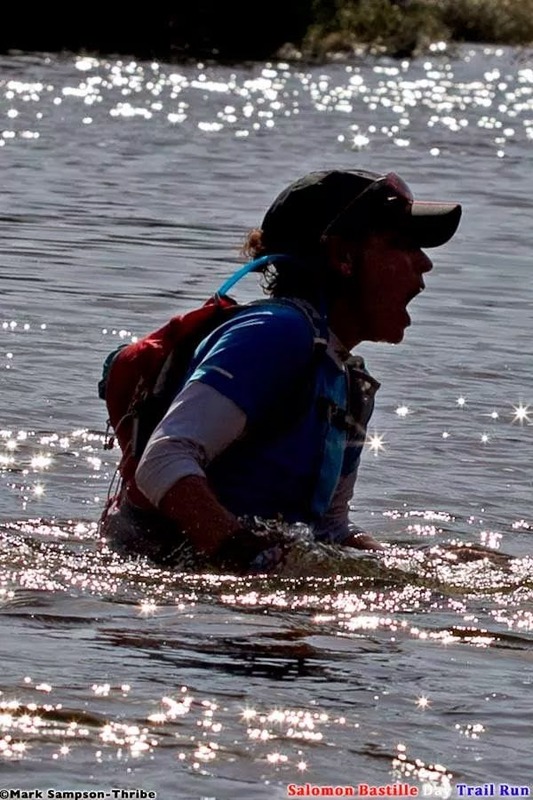 Dawn had come out for the day and had taken her only little run round the mountain to watch the race... She was on the other side of the river on gravel road, so I stopped again and told her what had happened before heading off. Oh I also stopped for Hot Chocolate!!! Christo didn't stop but walked on up the 'road' I caught up and we ran on together round the dam. 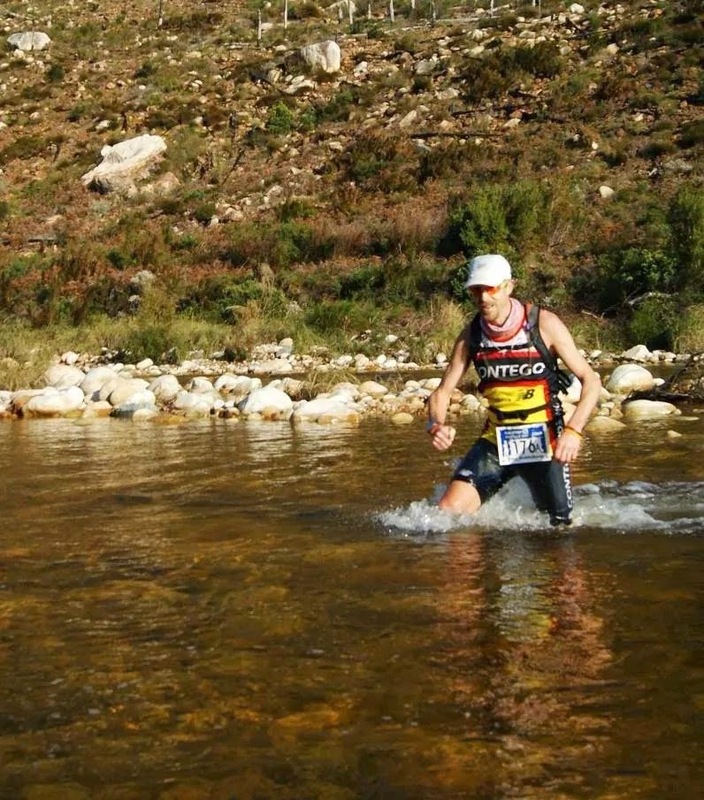 Then he got tired leaving me to run on... there's one last single track down to the dam and a last river crossing before the last 1.5km to the finish. Would I have won? I can't say, but 3rd was up for grabs and I really wish I had been there to answer those questions. That said I had a really nice run out there and don't really mind the body had held up and I think I can get over this injury and back in the game. Congratulations - I guess. Sounds like you ran well despite the confusion with the course. That's something that will never happen to me. I've always got a crowd to follow. lol on the gorilla! Great prank! And I hope the injury heals up, sounds like you may need to start drinking more water, even though wine does sound good. I'm thinking you would have won. Hopefully you are strong and injury free next year.